What’s a good essential oil for inflammation & or muscle pain? I use Peppermint Oil by Young Living. I use it all the time and not only does it help with inflammation, it also helps with allergies. I put a couple drops in my hand, rub together and place it on the back of my neck then I inhale it 3 times. For muscle relief, put a couple of drops in your palm rub together and rub into the place of soreness. You can also put a couple of drops into a good lotion or coconut oil and rub on those sore muscles. There are more oils of course and you can Google that as well but I’ve found Peppermint is the one that works best for me. They always know when I’m at the gym cause I use it right in the locker room. Another product that I just got from Young Living is called Ortho Sport massage oil. It is working really well too. I bought some cinnamon essential oil. What is its benefit? Cinnamon bark is an anti-inflammatory, a powerful antibacterial, and a stomach protectant (ulcers). It’s also an anti-parasitic (worms) and is used for cardiovascular disease, infectious diseases, digestive complaints, and warts. How to use: I dilute 1 part oil with 4 parts pure oil (such as olive oil or coconut) and place right at location of the problem. You can also put it on the flex points on your feet. You may also take it as a supplement, putting a drop or two in a vegetable capsule. I wouldn’t recommend you taking it on an empty stomach though because it’s what we call a “hot oil.” So be careful when ingesting it. Why is protein so awesome? Protein in your diet especially as you get older will help in keeping your muscles mass. As you age you begin to lose muscle. I was wondering, how could you build muscle after the age of forty-five if you have never worked out in your life? It’s never to late! Like I said above, as you age (around 40) you start to lose muscle and that increases the older you get. That is why you see people who are older with bellies. Muscle burns fat! So, how to gain muscle? I’ve read quite a bit and they all say the way to gain muscle is to lift weights. I’ve found that many women are afraid to lift weights because they are afraid they will get too muscular and have “ugly man muscles.” Let me tell you that is not going to happen unless you are taking bad drugs for that reason. You will have to work hard. You need to learn to work different muscles groups through out the week and give those muscle groups at lease 48 hours to rest. In other words, if you go to the gym and it’s back and bicep days then work them hard. Then make sure you rest them for 48 hours before you work them again. My schedule at the gym is 3 days a week. Working 2 sets of muscles groups for each day. Chest and biceps for example is usually my Monday workout. Tuesday is triceps and back, Fridays is shoulders and legs. I also mix in there core work/abs. Don’t be afraid to work hard at it. Eating protein is really important as I mentioned in the above question. Also, right after workout is the best time to eat protein or protein shakes normally within fifteen minutes. It will help the muscles grow. If you can, I recommend getting a trainer for a week to help set you up on a routine. How do you lose weight when you have adrenal fatigue or pcos? Boy, I know this one well. When I went through Adrenal Fatigue, I had to cut my exercise way down. What’s more important than losing weight is that you heal first. I would go for easy walks and incorporate some stretching. Once I healed from AF, I was able to go for it again at the gym. But, you HAVE to heal up first because if you don’t you will continue to crash and burn. You might feel good after a good work out but you will find yourself crashing and it’s just a vicious cycle. Get well and give yourself some grace for this season of healing. As far as the PCOS, it’s the same as you need to heal first. Here are some natural ways to heal. – Low GI carbohydrates should be balanced with sufficient protein. – Intake of saturated fats should be reduced. – Dairy products should be avoided or limited. – Additives, food chemicals and preservatives should be avoided. – Alcohol and caffeine should be avoided. – Sugar should be avoided. – 2 liters of filtered water should be consumed daily. – Essential fatty acids should be included in diet. What’s the best remedy for sugar cravings? The best natural remedy I have used is juicing greens like romaine and kale. Those dark greens seem to cut the craving for me. I make a green lemonade juice which you can juice or blend (blending you keep the fiber in the drink). Here is the recipe! Blend and drink in the mornings. As far as supplements, here are a couple of sites that have good suggestions. Although stevia is suggested, you need to stay away from that if you are of child barring years. What are your thought on vaccines and fluoride? I personally do neither. Concerning the vaccines, I tell people that it’s your call and that you need to do what your heart is telling you to do. I’ve personally feel that I’ve read too much information and have read too many stories to ever take a vaccine. As far as fluoride, I suggest staying as far away as possible. It’s a poison and a toxic chemical. A good water filter that takes out the fluoride in you tap water is important. I use a healthy brand of toothpaste that has Xyitol in it, which they have found helps fight cavities. How do you maintain a healthy diet on a tight budget? Planning ahead. I had two boys and I use to say that one of them had 2 empty legs and he filled them up all day long. We did a lot of tuna and pasta back then. Brown rice with butter on it, add some hemp seeds to it for the protein. I would suggest you go in with friends and buy a healthy cow. Buying bulk is always the best way. If you have a busy schedule, take one day a week and make homemade meals ahead of time. Aim for something you can put in freezer or refrigerator. Shoestring budget healthy grocery list. – Almond butter (A good source of fat and protein). Better yet make your own almond or any nut butter. Here is a recipe site for nut butters; http://tasty-yummies.com/2014/03/18/how-to-make-homemade-nut-butters/ they soak and dehydrate their nuts but you don’t have to. If you don’t have a food processor ask around and see if you can borrow a friends. Why is kombucha good for me? This is one of my favorites drinks! My body craves it and it’s loaded with probiotics and enzymes not to mention electrolytes which are good when recovering from exercise. I feel that you can’t have enough probiotics or enzymes. When we eat dead/cooked foods, we are killing all the enzymes in our foods. We need enzymes to digest our foods. Probiotics are what gives us good flora in our guts. If you are one that has taken antibiotics (catch the anti part) you need to replenish your gut with lots of good probiotics, which I might add you can get in a good yogurt or take a supplement for. Even if you haven’t taken medications, it a must have for good gut health! The natural health field will tell you that your health begins in your gut. People often ask me how to keep well and healthy this winter season. I answer by suggesting they get their gut/immune system well. Probiotics and enzymes are the way to do that. Homemade kombucha is a great way to get both and is very cheap to make. If you go to my Pinterst (search Beni Johnson) you will find some good recipes on there. I especially like the hibiscus recipe. Is it okay for women to take whey protein? How do I change my lifestyle, our eating, exercise. It seems like I don’t have the time? Sit down and find your WHY. You have to figure this out. If you have to put yourself on a schedule then do that. If it looks like just doing something at home, then do that. There is so much we can do in our home. There are DVD’s and online exercises we can incorporate right into our life style. This is your journey and you have to figure out what’s important to you and your family. Educate yourself. Get on social good food sites. Some sources I suggest are, “The Seven Pillars of Health” by Dr. Don Colbert, http://www.juiceladycherie.com, and author Jordon Rubin’s books. There is so much out there. I always suggest eating Paleo and a great cookbook that could help is called “Against All Grains” by Danielle Walker. What’s wrong with dairy (low-fat/nonfat milks and Greek yogurts)? Commercial milks, the typical type of dairy that you’d find in your grocery store that is not organic, have a lot of things wrong with them. First of all, let’s look back to the cow that is giving us their milk. The farmers will give their cows growth hormones and/or antibiotics. Not to mention the grass or foods that they get (if they are commercial) have pesticides in them. That in turn goes into the milk and we then drink all that junk. Personally, I don’t want to be drinking or eating growth hormones, antibiotics, etc. in my food. I recommend using raw forms of these products. What quick, at home workouts would you recommend for a busy person? I would Google “workout videos” on your computer. I’ve found 30-minute workouts using the bands (which you can find on my grandmaswithmuscles.com blog, in my store). There’s so much out there on the Internet that will help you get your exercise on. I also posted some at home workouts on my blog that you can do with some basic equipment. What are some healthy dairy free recipes? I would recommend looking into some Paleo recipes because they omit dairy while using healthy sugars and flours. Danielle Walker has some great books called “Against All Grains” that I use when I need some inspiration. She has a great website as well at againstallgrains.com. Again, you can Google some ideas. Whenever I want a good Paleo recipe, I look online. What are your thoughts on coq-10? I take it everyday! I always make sure that I get a good and pure brand and not just something you can pick up at the corner drugstore. Health food stores usually carry good brands that are organic. You might want to look into ancient grains. They are pure in form and haven’t been tampered with and added too. How do you have a healthy pregnancy, birth and postpartum? Be sure to eat well during and after your pregnancy. It is so important and it will help keep your body in balance. Exercise is another way of keeping the blues away after your pregnancy. Just make sure you talk with your doctor about when and how much you can do. How do you support your kids’ health while vaccinating? I have to be honest and say that I am not for vaccines. However, it’s certainly everyone’s personal call on that one. As far as what to do if you do vaccinate your kids, I would advise you to keep their gut healthy with good flora by giving them foods with probiotics and enzymes. Another alternative is giving them probiotic and enzyme supplements. You can find those at your local health food store. Remember good health starts in the gut. I would not only encourage adding probiotics and enzymes just when vaccinating, but all the time. What is a good alternative to beef? First, I would tell you to try a good enzyme supplement before you eat meat. Meat is a cooked food; therefore you have cooked out all the digestive enzymes that help you digest your food. Adding a supplement may help with that process. As far as an alternative, fish is good, as well as chicken, but remember they are dead food too. I take enzymes before my meal unless I’m going to have a big salad before I have that meat. I’ve heard it said that if you are going to eat a steak, eat a salad with it. The salad is alive and full of enzymes to help in the digestive process. I am a big follower of your https://grandmaswithmuscles.com/ blog and am always happy with your natural approach to health. I try to look for information there about using natural products for fertility issues and didn’t see anything. I was wondering if you know anything about fertility cleanses and fertility massages.We have been trying for a couple of years, and did some medical fertility treatments. Although my heart is joyful and I know it will happen soon :), I am trying to do my part in keeping my body 100% for the new baby. Fertility treatments have so many chemical hormones, I did a couple and my body felt horrible. Researching online, I really liked the things I read about the fertility massage. 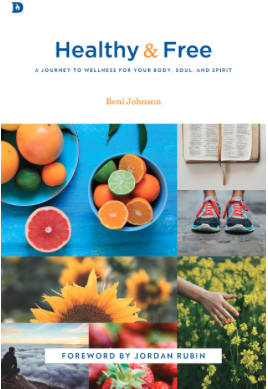 I was hesitant to start because I noticed some of the massages were inspired by “new age groups” which could just mean they found out about this great thing before us, but hey I wanted to ask someone who knows both health and biblical aspects of living naturally. I was reading about sea aloe. What brand do you like? and where do you get it from ? Our local stores do not carry it. Trying to learn what u have on your exercise video. Free weight and aerobics? I am 61 and need to get back into exercising. Wondering if this is an at-home workout. Thx!! Hi, I would like to ask, is Pilates safe for Christians to practice? Would it open any unwanted spiritual door? Hi, Beni! I really enjoyed your sessions online thru the Canadian conference last week & loved your “Happy Intercessor” book. Do you have any lifestyle, dietary and/or sozo recommendations for eliminating menopausal hot flashes? Thanks again for all the info! Big hugs & blessings!